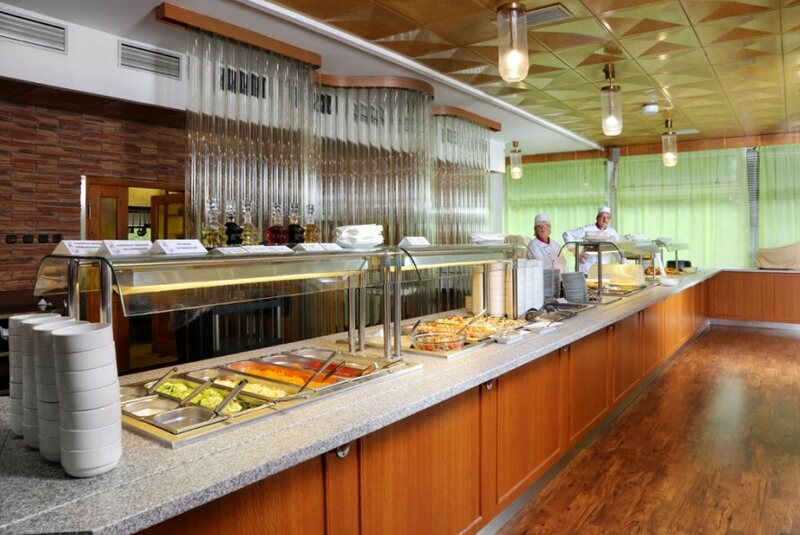 Wellness hotel Svornost is located 5 minutes’ walk from the town centre of Harrachov. The chair-lift which goes to the top of Certova mountain is 10 minutes’ walk far from the hotel, ski jump towers are 15 minutes’ walk far (the chair-lift operates from 8 a.m. till 6 p.m. in summer – every half-hour; in winter from 8 a.m. till 4 p.m., all the time (guests of the Wellness hotel Svornost have 15 % discount for tickets – only by purchase in the main cash desk). Bus centre is 15 minutes’ walk far, railway station is 4 km far from the hotel. 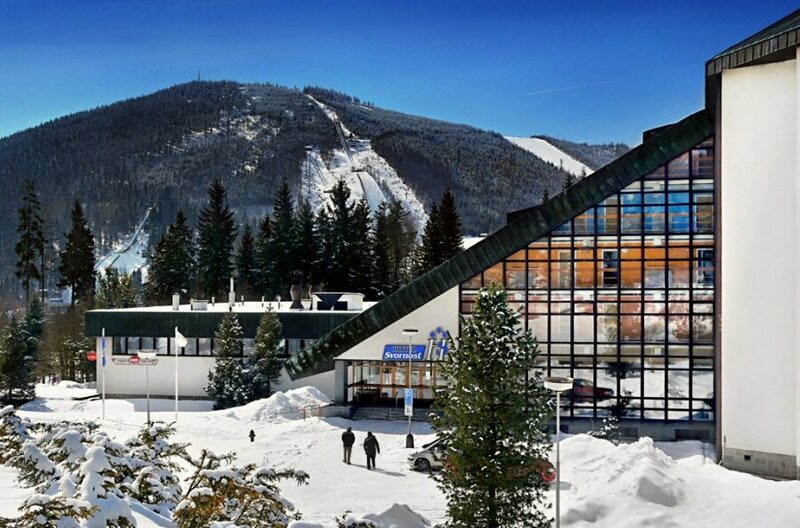 The capacity of Wellness hotel Svornost*** Harrachov is 125 rooms. 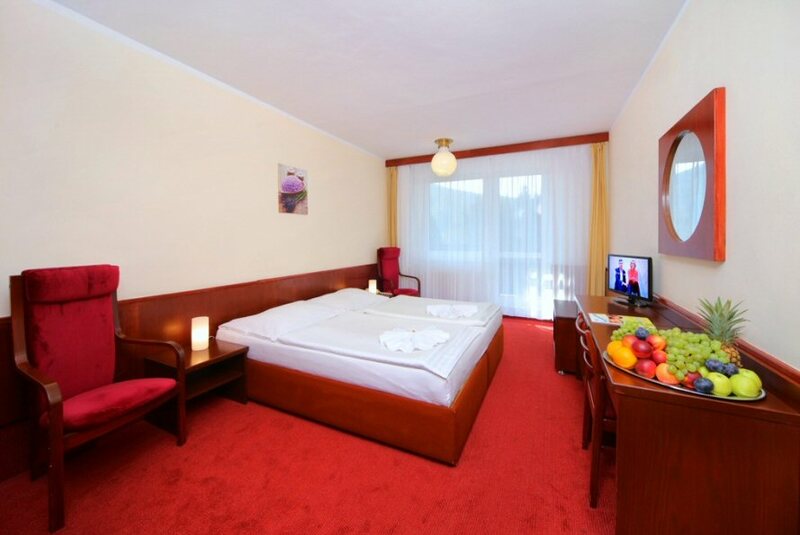 There are mainly double-bedded rooms, some with extra bed, in the hotel. 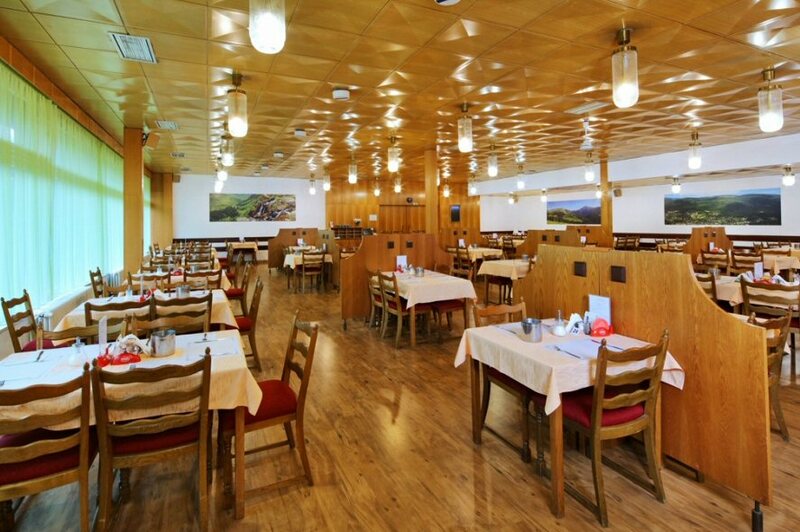 Accommodation in Wellness hotel Svornost*** Harrachov is provided in 79 double rooms, 40 double rooms with an extra bed, 2 four-bedded rooms, 4 apartments (1/4 on the 2nd and 3rd floor, apartment on the 2nd-5th floor). Facilities located in the ground floor in Hotel Svornost: relax centre – indoor swimming pool (for hotel guests gratis), table tennis, fitness, sauna, 2 solarium, massages, water massages, pearl bath + aromatic flavour, whirling bath for foots, paraffinic wrap, beaty parlor, in winter ski equipment rental office and room for skies, in summer mountain bike rental office. In summer season once a week barbecue (instead of dinner for guests with halfboard, only in case of good weather) – under the hotel, or on the terrace in front of the hotel. In winter season daily evening program (except Saturday) - disco and live music, in summer season at least once a week live music and disco. 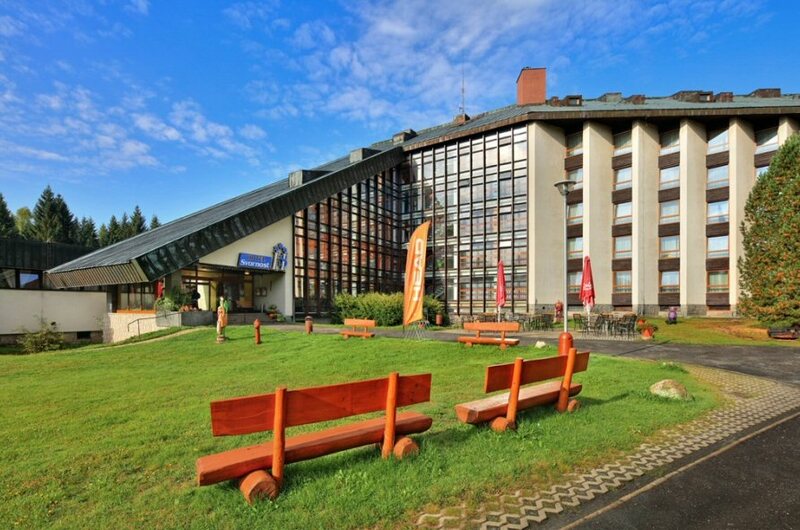 In front of the main entrance of the Wellness hotel Svornost*** Harrachov, there are attractions for children: swings, wooden castle and big swing for adults.